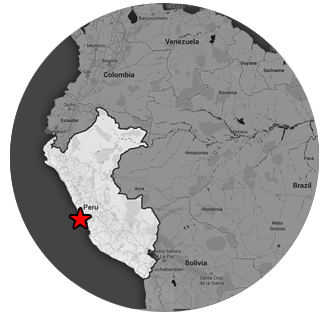 Since Lima is a coastal city, a lot of the food we ate was fresh seafood. There were also many dishes with the indigenous potatoes and other grains, including quinoa and rice. 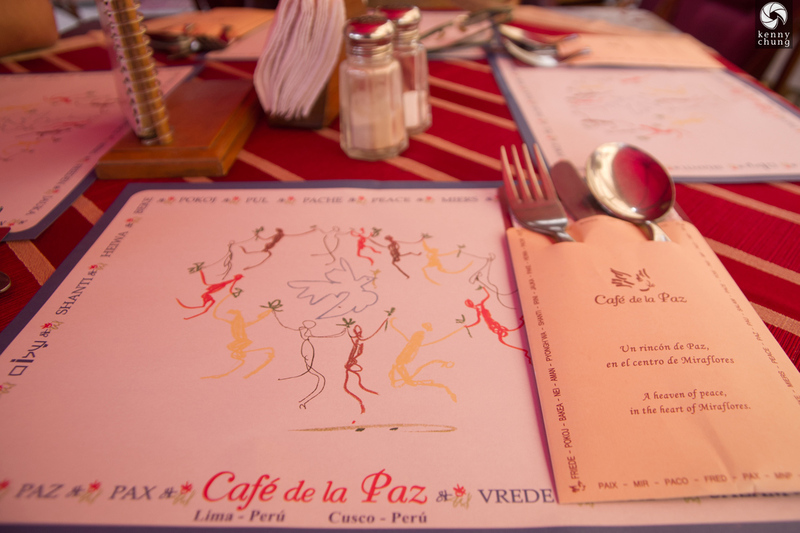 Our first meal in Lima was at Caf� de la Paz, which was nearby our hostel (Pariwana Lima). 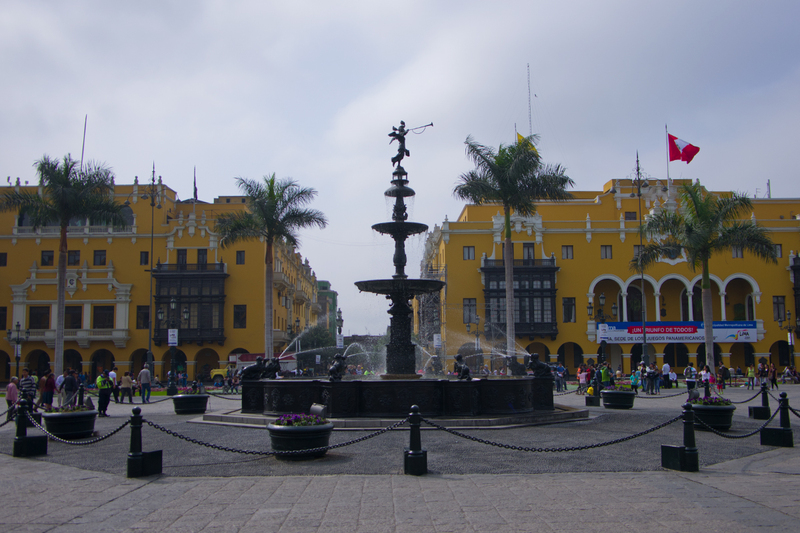 Of course, we had some pisco sours (the cocktail Peru is known for). 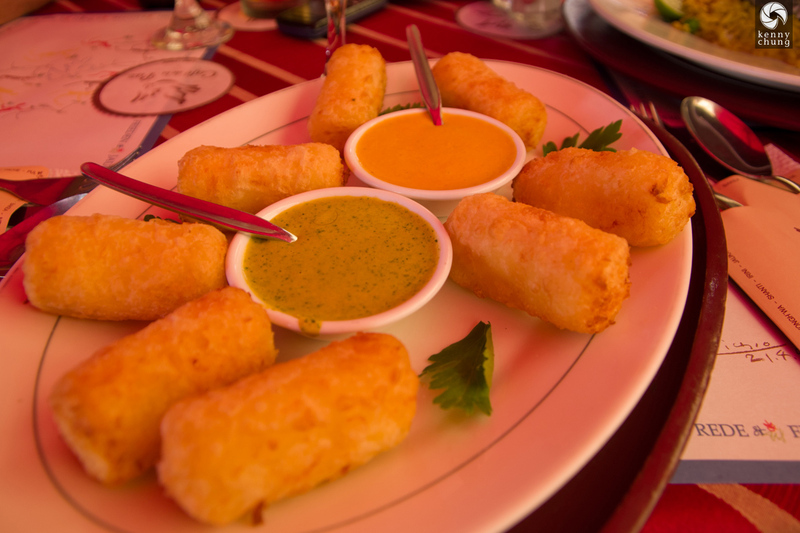 Queso andino frito (fried cheese) with aji and huancaina dipping sauces. The aji salsa (the green one) was deliciously spicy, and we couldn't get enough of it. 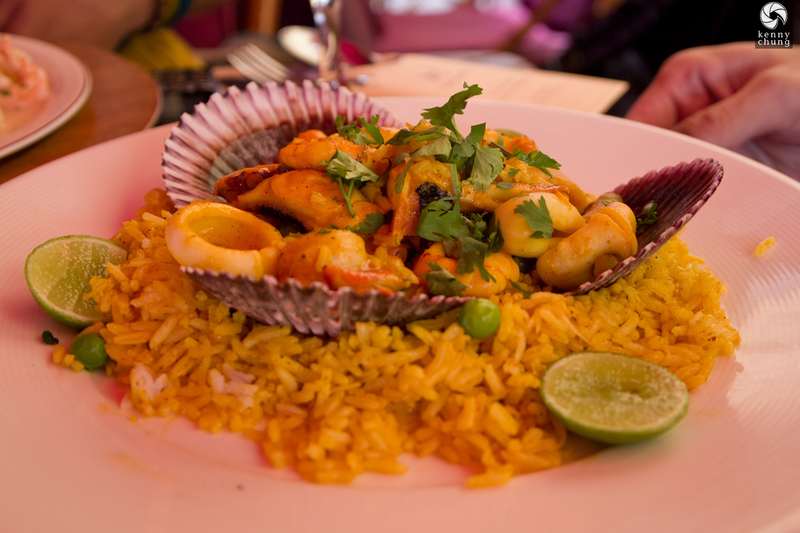 Delicious arroz con mariscos (rice and seafood) over a bed of yellow rice. This dish was anticuchos mixtos (mixed skewers). 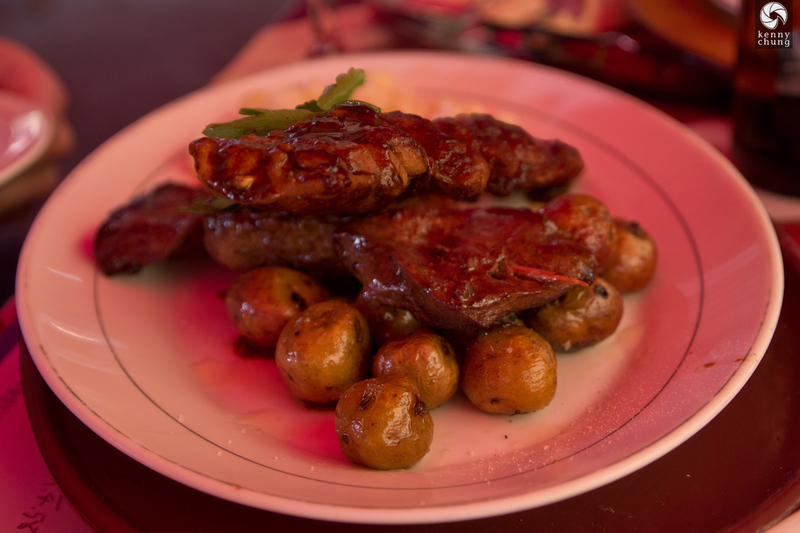 Pictured are chicken breast and cow heart, with vegetables akin to fingerling potatoes.